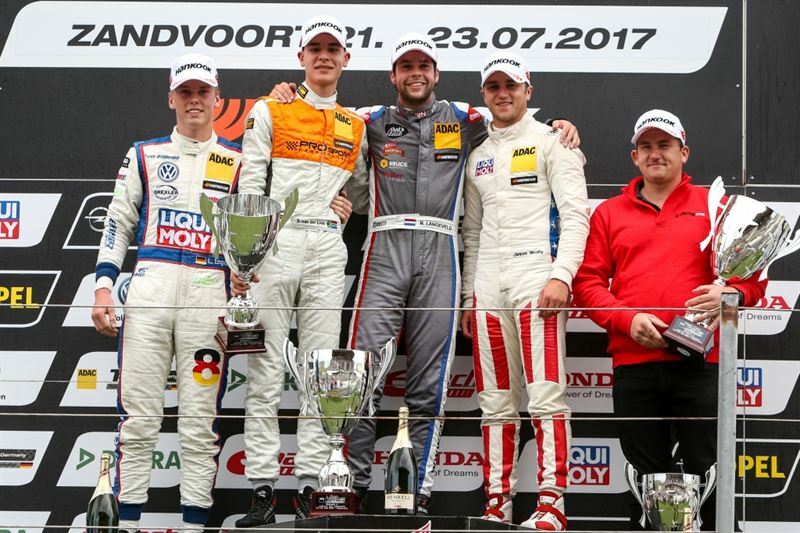 July 2017 – Great success for Jason Wolfe from Mount Vernon, OH: The driver of LIQUI MOLY Team Engstler won the first heat of the TCR Germany in Zandvoort. "He really drove a great race and finally had some good luck," said team manager Andreas Klinge. Finally some good luck - that's a reference to a season in which Jason Wolfe (22) previously had a lot of bad luck: technical failures and competitors that pushed him off the track caused a disappointing position in the middle of the overall ranking. At the races at the weekend he was able to prove his ability. He finished the first race in second place. As the driver in first place was subsequently given a time penalty, Jason Wolfe was belatedly declared the winner. In the second race, Wolfe once again showed a great performance in his Volkswagen Golf GTI TCR and finished third. He is in 16th position overall. Jason Wolfe comes from Mount Vernon, OH and was a company driver at Kia last year. As of this year he has been driving for LIQUI MOLY Team Engstler, which has decades of experience in the touring car sport. The Touring Car Championship may be called TCR Germany, but the drivers come from across Europe. Jason Wolfe is admittedly the only participant from the USA. He drives a Volkswagen Golf GTI TCR, which gets 330 hp out of its 2-liter motor and accelerates from zero to 60 mph in 5.5 seconds.